Requires the INFINITY Driver Package 6.4.1 (or higher) from Lumenera. 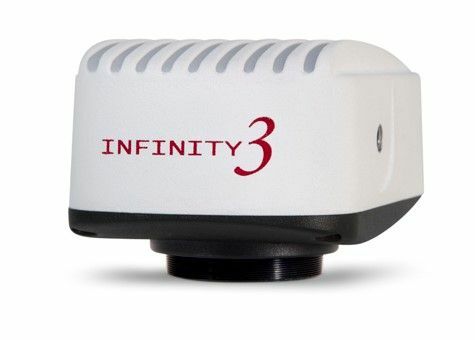 The INFINITY3-3UR Color scientific digital camera features a Sony ICX674 CCD sensor, offers 53 fps at full 2.8 megapixel resolution via a high-speed USB 3.0 interface. Designed for use in scientific and industrial applications requiring optimal color reproduction, extreme sensitivity, increased resolution and high speed.